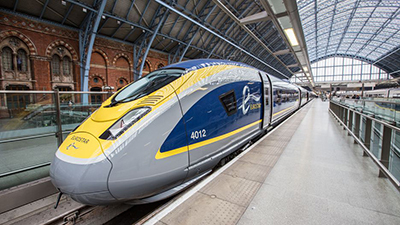 Eurostar is offering savings for travel this summer: receive up to 20% off for travel in Standard Premier and up to 30% off in Business Premier. The offers are applicable to bookings made between 15MAY and 19JUN, for travel between 16JUL and 1NOV. Included with Standard Premier service is a light meal and refreshments served at seat, spacious coaches with comfortable seating and complimentary magazines. In Business Premier, travellers receive meals and refreshments, access to the exclusive lounges in London, Paris and Brussels, flexibility to accommodate changing plans, and check-in up to 10 minutes prior to departure.